It was another murderous terrorist attack on U.S. soil. Sayfullo Saipov, a 29-year-old immigrant from Uzbekistan who pledged his loyalty to ISIS, rented a truck and deliberately mowed down pedestrians and bicyclists in Manhattan. He killed 8 and injured 13. 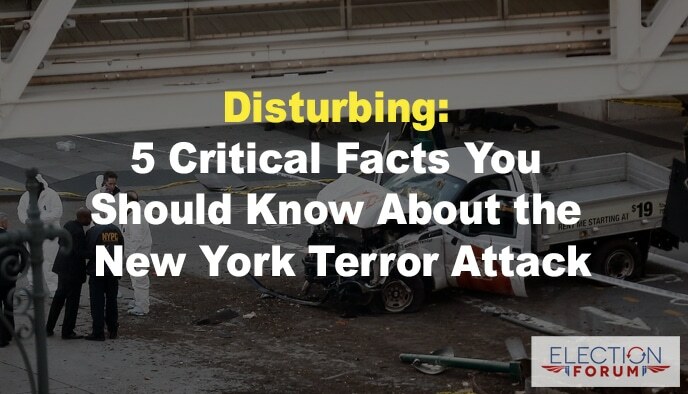 It was New York’s deadliest terrorist attack since Sept. 11, 2001. The liberal mainstream media is willfully and purposefully ignoring the fact this was an act of Islamic terrorism. They simply refer to it as an act of “violence” or just “terrorism.” It is without a doubt Islamic terrorism and should be called what it is. This act of Islamic terrorism shows the vulnerability we face by allowing anyone into the U.S. without proper vetting. Saipov came here in 2010 from a country that is a hotbed for Islamic extremists. Whether you agree with Trump on issues or not, he is right … we have to have proper vetting. Our prayers have to be with the victims and their families. Faith leaders have taken to social media to issue a call to prayer. The church community has to be vigilante against such an attack. Lone wolf attacks, because of their unpredictable nature, are the hardest to try and prevent. If the neighbors of the Islamic terrorists had been more vigilante in reporting their suspicions to the police, that murder spree may have been prevented. Our Constitution protects all religious faiths from unwarranted and improper government interference and surveillance — including Muslim mosques. However, when hatred and terrorism is fostered within an institution, authorities are justified to know what is happening and what is said. The mosque attended by Saipov has been identified as a breeding ground for terrorism, but the surveillance of that mosque was eliminated and should not have been. Make no mistake about it, Islamic terrorists have painted a big bulls eye on America and its freedom-loving people. Radical Islamic attacks go on globally, but you often don’t hear about them. CLICK HERE to see a list of 1,524 killings in 23 countries in the name of Islam, in the last 30 days. Why are we afraid to be vigilante? This is no time to be politically correct. The Rev. Franklin Graham said, shame on the Republicans and Democrats in Washington. Our safety is NOT a Republican or Democratic issue. It’s terrifying to think these politicians are dragging their feet and opposing the protection of innocent men, women and children. We need to come up with proper vetting and security solutions. Having read the koran and sharia law (‘The Reliance of the Traveler’ – Sharia Law in English) and having interacted regularly with muslims in an international governance environment, I have no doubt the global-engineering establishment-democrat/establishment-republican fraternity along with their establishment accomplices in the mainstream media are aware that being a true muslim is not limited to ‘religion.’ It is a religion, government and military system incapable of coexisting with our constitutional-republic form of government unless portions of it are not practiced. While I encourage and befriend peaceful muslims and defend their right to live without being threatened or attacked, I also know that true muslims must obey the commands of their holy writings regarding eventually subjugating foreign nations in which they live. Muslims in America who will forever live peacefully and with no intent to accommodate the subjugation of America, do so in violation of their own holy writings. A violation they must sustain for America to remain a free nation. The Christian, Jewish, Buddhist and other writings cannot be interpreted to call for the mass-murdering suicide-bombers and using trucks to murder without blatant editing of those writings. The Koran, sharia law, and some of the Hadiths blatantly call for attacks on non-believers unlike other religious writings. And if you think the Jewish Torah does call for such violence, you’re wrong. It only allows for such violence after an intricate process is satisfied involving vetted prophets (living under a one wrong prophecy and you are killed policy) and other requirements are met to verify such commands come from God and not man. For decades we have seen Muslims committing acts of mass murder in the name of their god while no such acts of mass murder occur by Christians, Jews, Buddhist, and the like – though Christians and Jews will fight in self-defense. The system involved in being a true muslim requires SUBMISSION to a combination of religion, government and military laws. Therefor, a true believer cannot fulfill in his/her oath to America’s constitution without violating their holy writings. Unlike Christianity, Judaism, Buddhism, and other religions, the very nature of the muslim holy writings precludes them from being constitutionally fit to hold office – unless they fully intend not to follow the portions of their holy writings defining government and military conflicting with loyalty to the U.S. constitution. 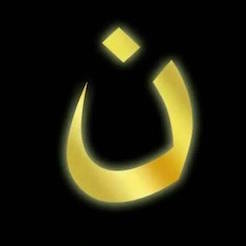 All that said, the most godly thing we can do for a muslim is to introduce them to Christ. The bigger question regarding unvetted Muslims being allowed into America under many pretenses including a ‘Diversity Immigrant Visa Program’ a bogus ‘refugee program’ which is really an engineered-migration, involves christians not representing Christ in government. With nearly 100 million citizens claiming Christ in America, why is every political office not occupied by a godly-constitutionalist which would have dissuaded attacks upon America by terrorists? Political offices instead, occupied by globalists, socialists, marxists, establishment conservative-impostors, and only a rare few true Christians? And the answer is, all but a rare few pulpits in America and those enabling them by their silence, find Christ worth representing in government. All the prayer in the world will not save America without ‘works’ that Include loving representation of Christ in society and government to the exclusion of competing world-views. This, because as we are warned about in 7 verses in James chapter-2, “faith without works is dead.” And with America being destroyed because Christians do not find Christ worth representing in society and government, it is biblical to assume God is not going to restore our nation when the pathologies destroying it exist because those claiming to love Christ didn’t find Him worth representing. Very well stated, Mel. Thank you. Mel – thank you for your intelligent, well informed, in depth comment. I hope many will read, and act on, it.